It is Crystal here and I have a new twist on an old die from Jaded Blossom to share with you today! 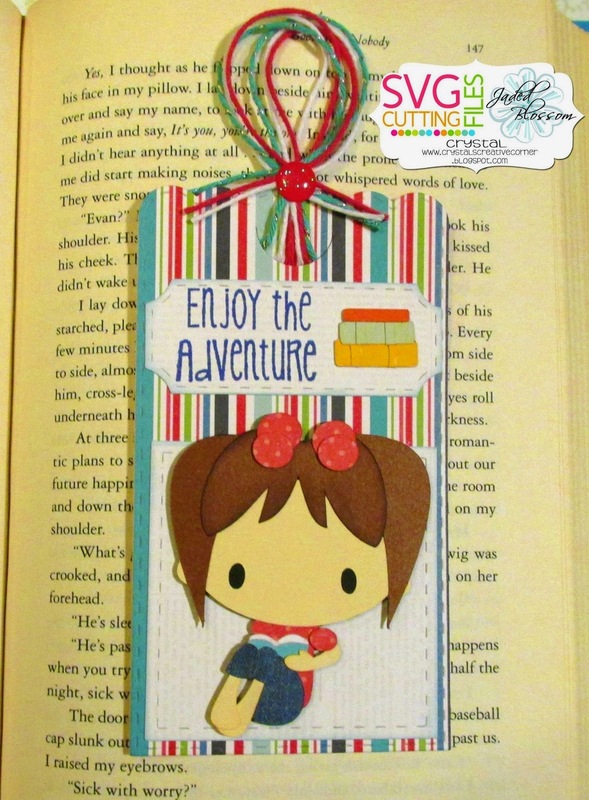 I made her into a bookmark using Jaded Blossom's Lollipop Die! I just ran the top through and flipped my die over, lined up the stitching and ran my die through on the bottom half! Came out perfect bookmark size! 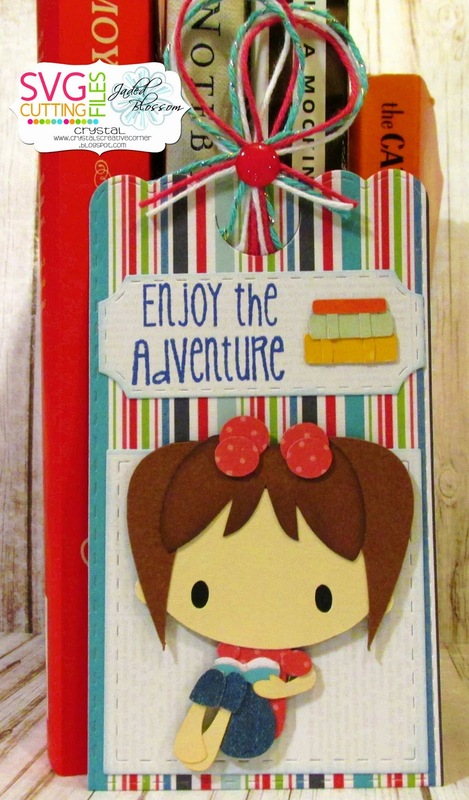 Aaaw, this is such a cute bookmark!